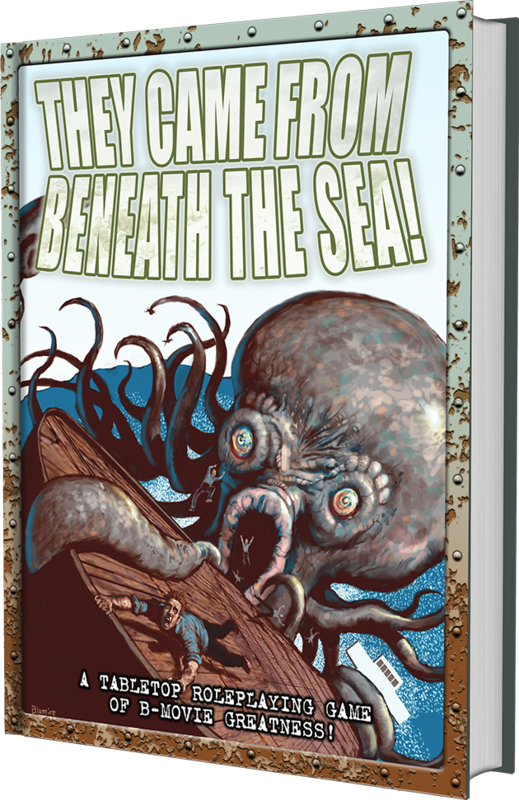 Yes, we’re down to the last few days of this extra-long Kickstarter campaign for They Came From Beneath the Sea! Holding a Kickstarter over the Xmas holidays is always a risky venture, but we’re pretty happy with the response we’ve gotten from this brand-new game. The extra time time allow a bunch of groups to try out playing the Early Access version that is available to all backers, and it seems like hilarity has been had by all! Except for one group, actually. But, to be fair, that was sort of the point of their playtest. Allow me to explain. 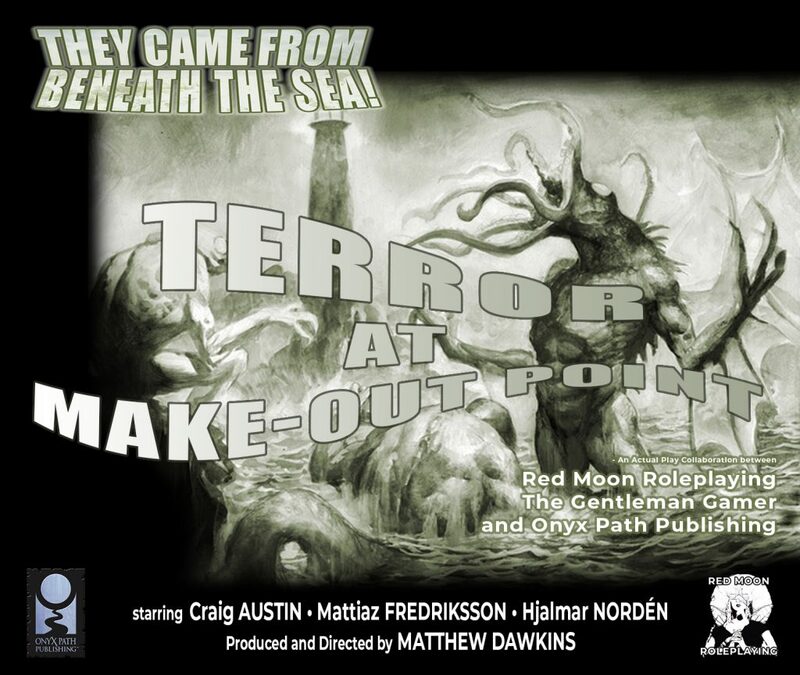 Red Moon Roleplaying contacted They Came From Beneath the Sea! developer Matthew Dawkins with an interesting idea. As much as they liked the inherent humor in TCFBtS!, it wasn’t really the tone they’d set for their podcasts. Their previous broadcasts have been much more strictly horror oriented. So, they asked Matthew, could TCFBtS! handle a non-humor session? “Hell, yes!”, I imagine Matthew responding, although I’m sure his real answer was less rude and a bit longer. In fact, Matthew and I discussed this very thing when we were originally talking about the game. We both wanted to give the game its own feel, and thought that the material cried out for a funny direction, but agreed that it is so focused and robust a game with the Storypath System underlying it, that folks could easily play it straight. I’ve just concluded recording the first session of They Came from Beneath the Sea! with Red Moon Roleplaying, going through all of character creation, a breakdown of the rules, and an introduction to the scenario. It went very well! I bring this up because a lot of games and their fans can get locked into a “this is all this does” mode, and we’re still reallllly early in the life of our Storypath System. There’s still a ton of different gaming styles and genres we can use Storypath as the basis for. Horror, as an example, is something we’ve discussed, but haven’t specifically built towards, but if we hear from our community, you wonderful people, and we see support for other Storypath powered games, then we can use those indicators from you as guideposts for our future plans. So if you are interested in us exploring a new game, a new genre, whatever, with the Storypath System, let us know. Here, in our forums, Facebook pages, on Twitter. Back our Storypath game Kickstarters even just for the PDF so we know the interest is out there. Like I said, we’ll look at these sorts of things as indicators that the interest is there. But maybe you want to know more before you pledge, maybe you have questions not covered by all the various They Came From media bits we’ve been giving the links out for. That’s fair, and we actually have you covered. On the Onyx Path YouTube channel tomorrow, there will be a live Q&A with the They Came from Beneath the Sea! team of Matthew Dawkins, Larry Blamire, Bianca Savazzi, and John Burke! Tune in and throw them your questions about the game, B-movies, and RPGs in general! The broadcast is scheduled for Tuesday 22nd January at 20:00 GMT! Next week, I think I’ll be talking about where we are with all of our Kickstarter campaigns, what we’re trying to achieve with them now that a lot of our emphasis is on making KSs that fund getting our books traditionally printed and in stores, and what’s up next. 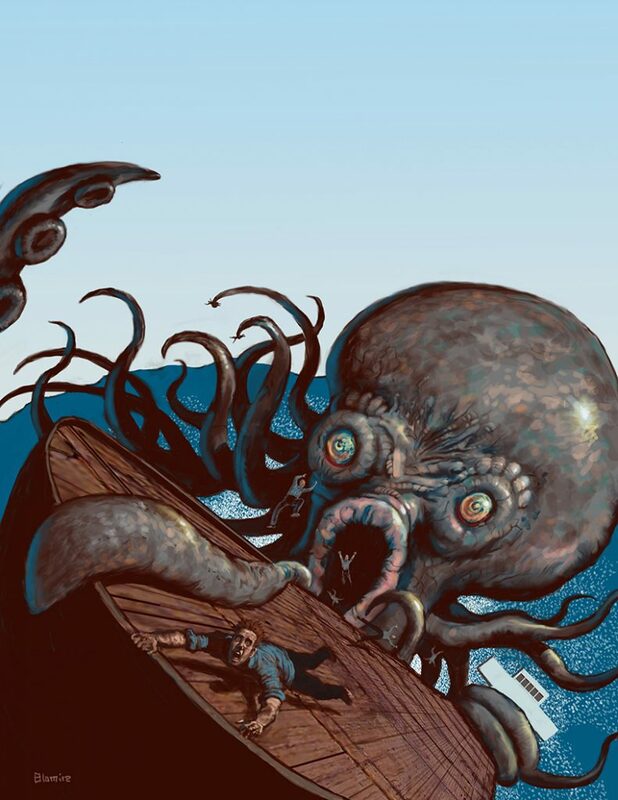 They Came From Beneath the Sea! (TCFBtS!) has only three more days left as I write this and we’ve passed through Stretch Goal after Stretch Goal including getting Larry Blamire to illustrate a horizontal scene usable on a screen, three entries for a book of additional soggy Threats, a T-Shirt, two added Adventure Scenarios, digital wallpaper featuring our submarine menaces, and we are rising up on the next goal! As mentioned above, on the Onyx Path YouTube channel tomorrow, there will be a live Q&A with the They Came from Beneath the Sea! team of Matthew Dawkins, Larry Blamire, Bianca Savazzi, and John Burke! Tune in and throw them your questions about the game, B-movies, and RPGs in general! The broadcast is scheduled for Tuesday 22nd January at 20:00 GMT! 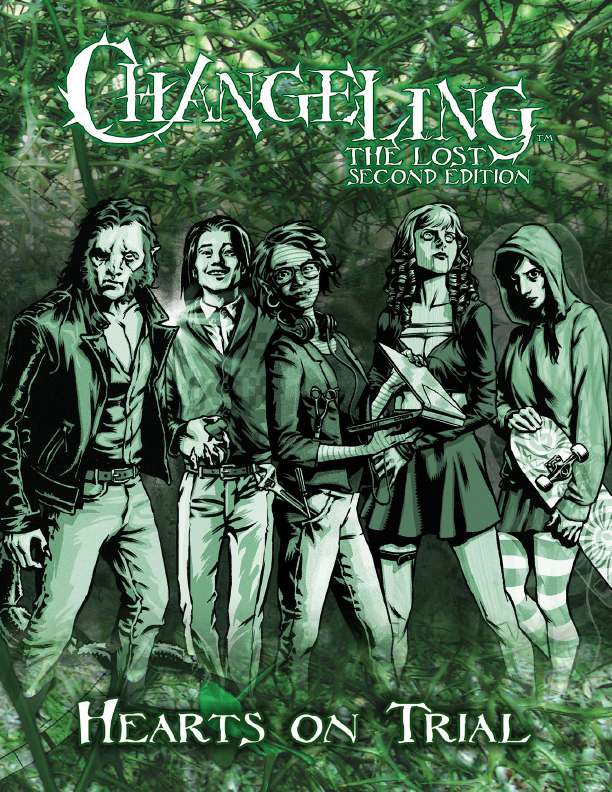 This Wednesday, we’re offering PDF and PoD versions of the Changeling: The Lost 2nd Edition Jumpstart : Hearts on Trial on DTRPG! Chicago By Night – Rolling on contracting next bits. Aeon Aexpansion – Going over the notes. They Came From Beneath the Sea! – KS over in three days! EX3 Lunars – Updated KS finals are in, KS prep begins. In Media Res – Sketches starting to come in. Shunned By the Moon – Got the notes, contacting artists. Book of Oblivion – Contracted. 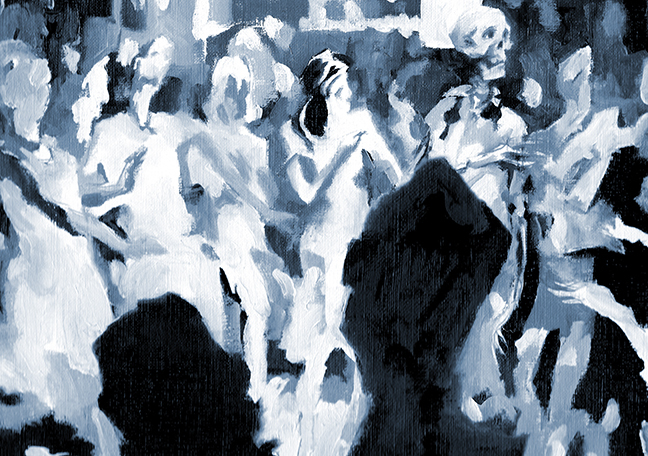 M20: Gods and Monsters – Sending for WW approval. 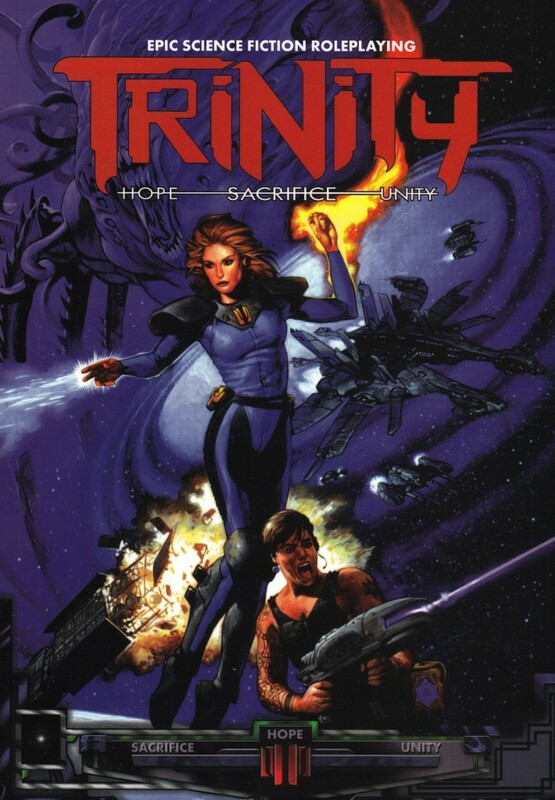 Trinity Core – Errata closed. Trinity Aeon – Errata closed. Ex3 Dragon Blooded – inputting XXs and then off to Indexing. CtL2e Condition Cards – Sending for PoD proofs. Ex Novel 2 (Aaron Rosenberg) – Sending for WW approval. Wraith 20th – Shipping to fulfillment shipper. Wraith 20 Screen – Shipping to fulfillment shipper. CtL2 Jumpstart – PDF and PoD versions on sale at DTRPG this Wednesday. Happy Martin Luther King, Jr Day! Here in the US, for some of you out there, that may just mean you get a day off, or can’t get your mail as it’s a Monday holiday, and for others celebrating MLK’s birthday may mean a lot more. Humanity, and protest, and civil rights, and a man who stood up and spoke forth in a time period that sparked changes in laws and attitudes that we are still dealing with today. I’d like to know if the Contagion Chronicle kickstarter will happen before March? Before March? Extremely unlikely. But in March or right after? I’m not taking any bets. Hey Rich. I and a couple of other people on the forums got Night Horrors: The Tormented during the early-access period, but only recently realized that we never received the usual email giving a discount for the hard copy. Is that something we should take to you or to DTRPG? Is it even still possible to get the discount at this point? If not its not a huge deal, but I figure it is worth bringing to your attention. Thanks! That’s likely more of Drive-Thru database issue since the coupon should go right to anyone who purchased the Advance PDF. 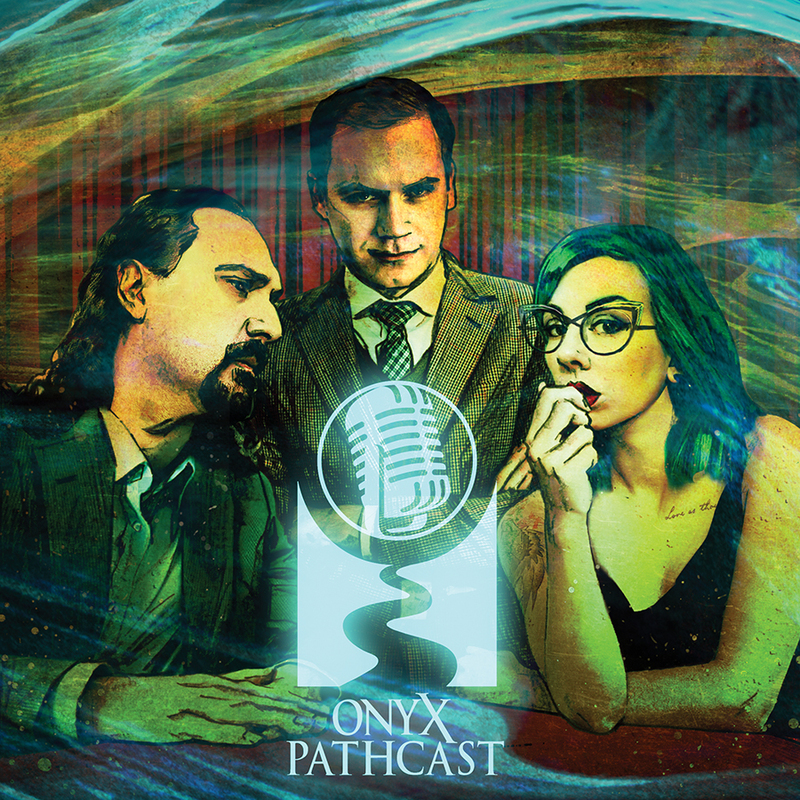 You can reach out to theonyxpath@gmail.com though, to let us know who’s missing their coupon. Thanks! I had the same issue. I got in contact with DTRPG’s customer service and they took care of it fairly quickly. I hate to admit it but, I do fanboy just a little seeing Caffeinated Conquests get mentioned by name in the MNM. Thanks for the shout out folks, CafCon loves ya! Ooooh BoO and C20PG movement. It’s like Christmas. Hi! I was wondering if there was any idea about when we’d get the Lunar Kickstarter? So, I’m going ahead and assuming you can’t tell us what the next Kickstarter is going to be (please be Lunars, please be Lunars) or when it’s going to start, because otherwise that probably would’ve been said already. However, is there any chance you could tell us when you’ll announce the Kickstarter that’ll follow the TCFBTS! Kickstarter? I was somewhat surprised that it wasn’t in this update. I’d imagine next week’s MMN blog should have that. It looks like you’ve linked everything about They Came From Beneath The Sea except for a link to the actual Kickstarter. Unless you don’t link directly to KS for some reason? Did i read it right?, Exalted 3 Lunars about to have a kickstarter?! (A modern lunar looking Richt with panting and salivating jaw). Looks like things are all good to give Lunars a KS soon, yes! How much time after backers should ‘Pugmire Roll of Good Dogs and Cats’ get to the general public sell? Two weeks? One month? What estimation can be on this? We don’t estimate release times, because: An Advance PDF or a Backer PDF starts an errata phase that lasts as long as we keep getting new errata regularly. Once the errata is taken from its thread and incorporated, we then have as clean a file as we can get and we can do other things like PageXXs, Indexes, etc. Once all the layout is finished we sometimes have an approval phase, and sometimes can move right to prepping PoD and/or printer files for traditionally printed books. If we’re doing a PoD version, we’ll put that on sale with the PDF to the public after I get and approve a PoD proof. Ordering that and getting it takes about two weeks itself. 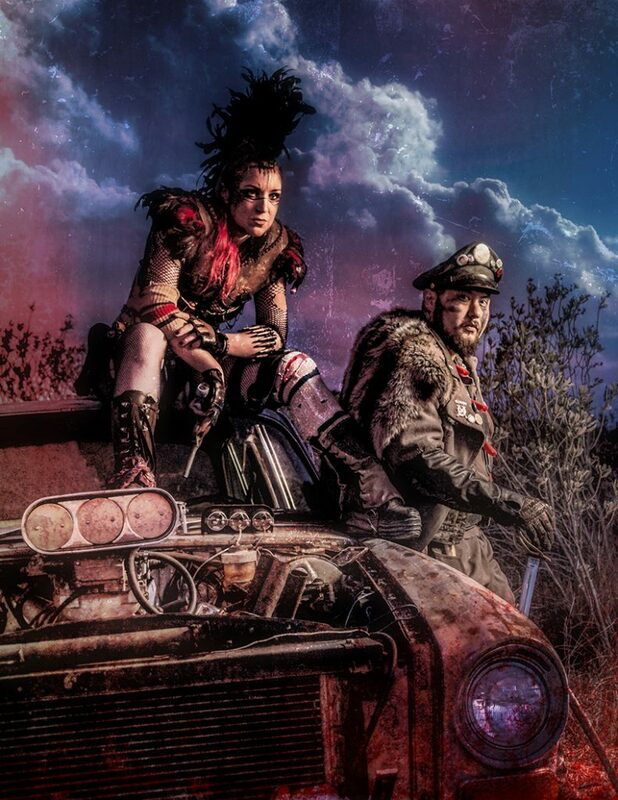 When Aberrant is ready, are you planning to do a Kickstarter for it? Or did you only want to do those for the Trinity Core? Aberrant and Adventure! are seen as the “tentpoles” of the Trinity Continuum, so we’ll be KSing both of them for sure, and then other books as it makes sense. 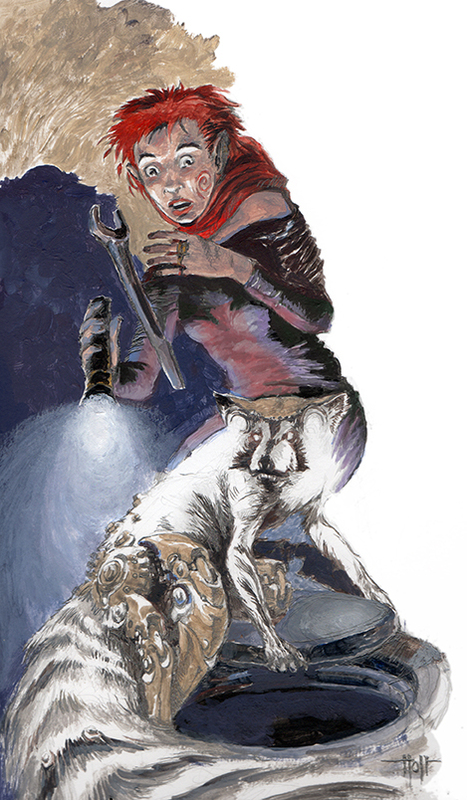 Is there any sort of estimate on when M20 Gods and Monsters will be out to backers? I see it’s now with WW but do you know how long they usually proof read the books? Not sure if this is the place to say this, but I just wanted to say that I haven’t been this excited about a tabletop rpg since the very first time I encountered Vampire the Masquerade back in the heady days of the First Edition. I can’t wait to get it in the flesh so to speak. Hey, I was on a roll! When Wraith 20 ships, will we get a tracking number or just acknowledgement that it’s on it’s way? I ask all of our shippers to send out tracking numbers, and mostly they do, but I know that some of the automated systems in the software used by the shipping companies can actually take so long to send the number that it gets there after the package. So, it’s often not a simple process, even though you’d think at this point that it should be.